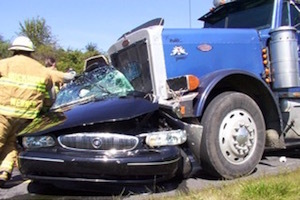 Westchester Truck Accident Injury Lawyers Four Decades of Expertise in Personal Injury & Wrongful Death Accident Claims! If you have been a victim of a tragic truck accident, a car accident or any other personal injury claim in Westchester, Los Angeles or anywhere else in California, of if any family member was killed and you have a wrongful death accident claim, please contact us now for what many call the best personal injury lawyers and legal team for a completely FREE CONSULTATION and CASE EVALUATION. Which route the truck driver was following? How much time the driver was given to complete the route? How many rest stops are allotted and for how long? Many truck accidents are also caused due to the low visibility and large blind spots that many big rig trucks have. For this reason alone, one is advised to always keep a safe distance from trucks, particularly on freeways. Big rig trucks and other types of commercial trucks are usually covered by commercial insurance policies. This insurance coverage for the truck companies and their drivers is oftentimes much larger than those for individual automobile drivers. The insurance coverage is usually quite high because of the serious injuries and deaths these vehicles can cause, in particular injuries or fatalities of occupants in smaller vehicles such as cars, motorcycles and pedestrians, and the need to protect the assets of larger, wealthy truck companies. Westchester is a neighborhood spanning Los Angeles and the Westside Region of Los Angeles County, California. According to the 2010 U.S. census, 39,480 people lived in Westchester's 10.81 square miles. Westchester is home to Loyola Marymount University, the Otis College of Art and Design, and Westchester Enriched Sciences Magnet Schools. We Recover Your Rightful Damages! All past and future medical, hospital, rehabilitation, psychological and dental reconstruction costs. All past and future loss of earnings should be covered. In fact, the time lost at work, irrespective of whether it is covered by employment benefits or sick leave should be recovered. The one responsible for your loss should not take benefit of your earned benefits – only you should! All past and future pain, suffering, emotional distress, loss of enjoyment of life activities and inconvenience. Property damage, rental charges and even loss of use of property and any post repair diminished value of your property. Moreover, any and all appropriate damages, such as punitive & exemplary damages, permitted under California law. Our experienced law firm of truck accident personal injury lawyers, paralegals and legal assistants possess tremendous experience in resolving personal injuries inflicted on victims of truck accidents as well as in handling wrongful death cases in Westchester, Los Angeles or anywhere else in California. Free Consultation, No fee Until You Win! Please feel free to call us at 1-866-INJURY 2 or 866-465-8792 or 818-222-3400 (after hours, press 1) for a FREE, no-obligation consultation. You can also email us at info@WalchLaw.com, or fill out our simple contact us form, to learn about your options.